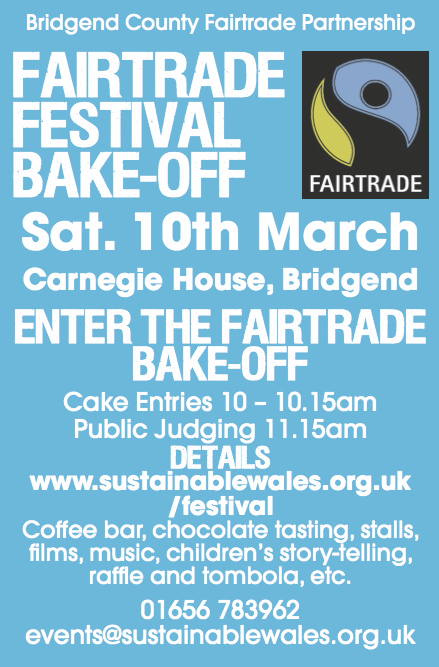 Bake off entry form below - please bring your baking entry to Carnegie House at 10-10.15am on Sat 10 March. Judging begins at 11.15am. This form is so we know your intention to join in and can prepare the event accordingly. Remember SUSSED for fairtrade ingredients! Optional: do you have a question for us?